LAS VEGAS (CES 2017) – Razer, the leading global lifestyle brand for gamers, today unveiled that Razer Chroma™, its flagship lighting technology, will be now available to 3rd party partners along with a glimpse into the future of Razer Chroma with “Project Ariana,” the world’s first video projection system designed for total immersion gaming. Razer Chroma is the largest RGB platform for gaming with more than 5 million devices sold to date. Some of the world’s top AAA games have integrated Razer Chroma lighting, including “Overwatch” from Blizzard, “Call of Duty®: Black Ops 3” from Activision, “Shadow Warrior 2” from Devolver Digital, and more. 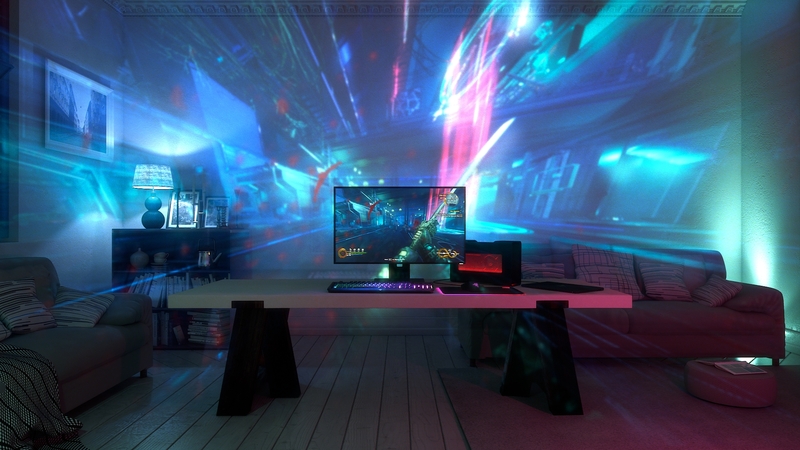 A growing number of hardware partners are additionally queued to leverage the Razer Chroma platform for immersive gaming solutions, including Lenovo, NZXT, Antec, Lian Li, Wicked Lasers and Nanoleaf. Entry into the Razer Chroma ecosystem and the 16.8 million-color palette of the platform is given through the Razer Chroma Module, a single hardware and software API available to partners. Additionally, Razer is exploring how lighting in the whole room can create more immersive experiences, together with Philips Lighting. 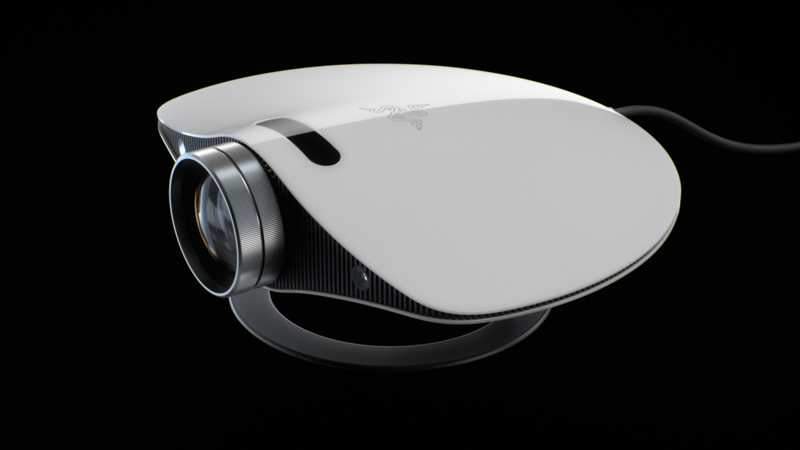 Project Ariana is a high-definition video projector that uses an ultra-wide fish eye lens and advanced processing capabilities to extend the gaming experience into an entire room. The system adapts the projection of in-game elements to the dimensions and features of the physical environment. A pair of 3D depth sensing cameras together with proprietary calibration software automatically calibrates itself to detect environmental factors such as furniture and room lighting, to provide the perfect display for any room. The concept is being demonstrated to attendees of the 2017 Consumer Electronics Show in Las Vegas at the Razer booth – South Hall 3 booth: 30320.